We’re extremely excited to announce that Go Auto has made its first foray into Manitoba with the purchase of two great Winnipeg dealerships: Porsche Centre Winnipeg and Auto Haus Volkswagen Winnipeg. With Go Auto, both dealerships are in good hands. 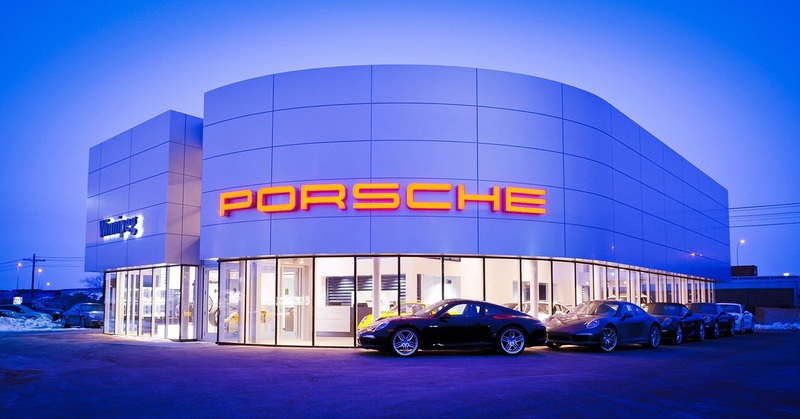 Go Auto already operates Alberta’s only Porsche dealership north of Calgary (Porsche Centre Edmonton), and the #1 Volkswagen dealership in Western Canada: Norden Volkswagen. It’s also #2 in the country. Go Card Rewards – This is our signature customer loyalty program (and it’s free!). Save 10% on every service and parts bill, earn $500 for every friend you successfully refer to Go Auto, and earn 5% of all parts and service spending back on your card for future savings. No Extra Fees – What you see is what you pay, plus taxes. 30-Day Exchange – If something isn’t right with the vehicle you bought from us—and we can’t make it right—we will swap you into a comparable vehicle at no extra charge. 3 Month/5000 KM Warranty – Our Certified Warranty covers used vehicles made in the last 10 years. This lets you drive with protection and peace of mind even if you’re not purchasing a new vehicle. 24/7 Customer Service – Chat live with us online or call us at 780.777.7777, any day, any time. Free Service Loaners – Drive one of our vehicles for free while yours is in the shop. In-House Finance – If you’ve been denied for a loan by the banks, we can approve you with our own money. Go Auto is one of the largest automotive networks in Canada, with more than 40 locations. We are now located in Manitoba, Alberta, BC, Ontario, and the Northwest Territories. We regularly have more than 10,000 vehicles available every day on GoAuto.ca. Oh, and we were named one of Canada’s Best Managed Companies, with one of Canada’s Most Admired Corporate Cultures. So that’s neat. We are an industry leader in sales, service, financing, insurance, and collision repair. Our 20 new vehicle brands include Ford, Lincoln, Dodge, Chrysler, Jeep, Ram, Toyota, Hyundai, Genesis, Kia, Mazda, Nissan, Honda, Fiat, Volkswagen, Infiniti, Volvo, Land Rover, Jaguar, and Porsche. We are an industry leader in customer satisfaction thanks to Go Auto’s long list of benefits (listed above). Visit GoAuto.ca to learn more!